Virgil Bozarth was born of Wilfred and Antoinette on August 6, 1899 in Cedar Falls, Iowa. He was the third born in a family of four, his sisters Myra and Nellie being older and Rodney younger. A fifth child John passed away as an infant. Virgil suffered with scarlet fever as a youth but in general was a healthy farm boy, happy as a child and very aware of his part in the family unit. He attended a rural one-room school house with children of many ages. Each child progressed at their own speed under their teacher’s guidance; the advantage to this was that Virgil was able to enter college younger than most. In school he was always surprised that the wooden school house made it through each Christmas season with it having a live tree centered in the classroom with lit wax candles on the branches. After high school he joined the US military and was in boot camp during the final days of World War I.
Virgil received his B.A. from the State University of Iowa and his M.A. from the University of Michigan. He also did graduate work at the University of Iowa, the University of Chicago and the University of California, Berkeley campus. He majored in chemistry and physics. After college he worked for a short while in the real estate division of General Motors in Detroit. This is where he learned various architectural styles and construction practices which later allowed him the design and build their beautiful Martinez home on Panoramic Drive. Before coming to Martinez, Bozarth taught high school chemistry in Kansas and Michigan. While teaching in Kansas one of his chemistry students, Mildred after graduation became his wife and life long partner. She preferred to be addressed as Mickey and after moving to Martinez became a well loved and a respected secretary for Mt. Diablo High School. In 1932 he came to Martinez to teach at the Martinez Junior High School. After four years there, he was hired in the fall of 1935 by Edna Breen, Principal and Forest Routt, Superintendent to teach Mathematics, Chemistry, and Physics and to serve as a Counselor at Alhambra Union High School. 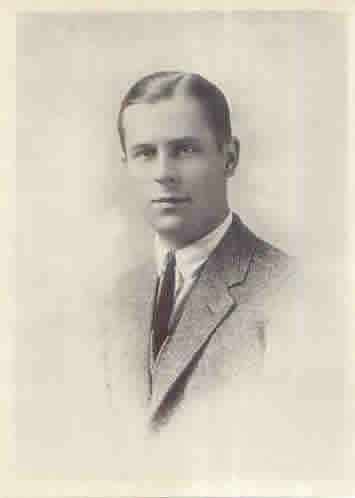 In the fall of 1942, AUHS Principal Willard B. Knowles entered the Navy to do his part in World War II. Bozarth assumed the Alhambra principal ship as the guardian of our beloved high school. He served in this position for three years until Mr. Knowles returned from the war. After Mr. Knowles’ return Mr. Bozarth returned to the AUHS faculty, teaching. He continued in his teaching position until 1947 when he moved back to the Martinez Junior High School to serve as its Principal for the next 13 years. On July 1, 1960 Mr. Bozarth retired as Principal of the Martinez Junior High School ending 28 years of dedicated service to the schools of Martinez. The District’s Board of Trustees accepted his resignation “with deep regret”. He told the trustees he was “keeping a promise” he made to himself a few years ago, that he would retire in time to be able to enjoy certain pursuits more fully. After the meeting he said he plans to rest, travel and take some university courses. He spent a lot of time traveling in Mexico, Europe, Russia, India, and may other countries always absorbing as much history as he could. He made his home in Martinez on Panoramic Drive with his wife Mickey, along with their daughter, Sandra, a Spanish teacher who was at Clayton Valley High School. Bozarth belonged to a number of national, state and local educational organizations. He was a member of the California State Committee of Junior High School Principals. He has authored articles published in “The Nation’s Schools”. The American School Board Journal,” “School Management,” “School Equipment News”, “NEA Journal”, “and “The Clearing House”. He was a member of Martinez Kiwanis Club and the Martinez Exchange Club. He was also avid in creating oil paintings and was quite good for someone totally untutored. He died in November 27, 1995 at the Stonebrook Convalescent in Concord of multiple system atrophy. At his request there were no services held. Virgil was very proud of both of his staffs at Alhambra and the Junior High. He was recognized for the high morale of faculty, staff and students and that the campus was attractive and well maintained. He always felt he could help youngsters into maturity by appealing to their common sense of using their head. That within their head contains the knowledge of how one should handle themselves in a given situation. Mr. Bozarth dedicated his life to his family, knowledge, our community and the students of Martinez. We thank him for his kindness and dedication. We also express our thanks to his wonderful daughter Sandra who helped in my fact finding. Just another example of how the apple doesn’t fall far from the tree. These and other stories of Alhambra and its history can be found on the Alhambra Alumni Website at http://www.AlhambraAlumni.org. We invite you to join as a member to help defray the costs of the history research on Alhambra and education in Martinez.